View of Jerusalem from the Mount of Olives. 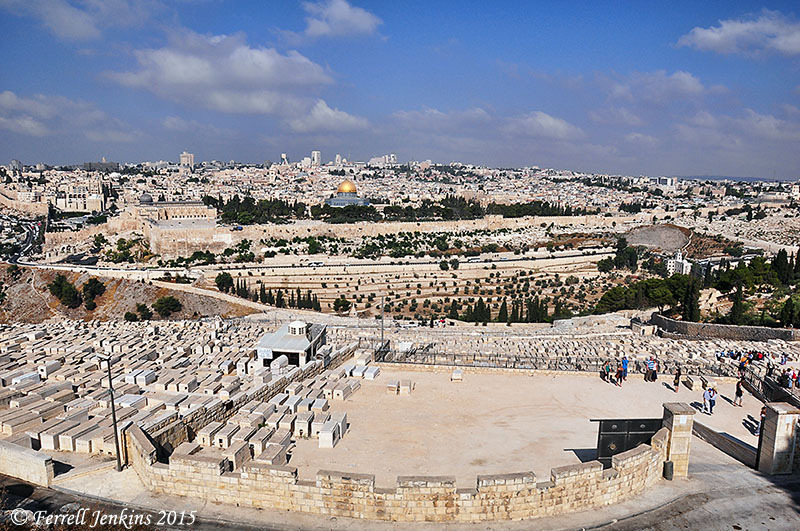 Imagine the city as it would have appeared to Jesus when he reached the top of the Mount of Olives. Photo by Ferrell Jenkins. This entry was posted in Bible Places, Bible Study, Israel, New Testament, Photography, Travel and tagged Ministry of Christ, Passover, the Gospel of John. Bookmark the permalink.